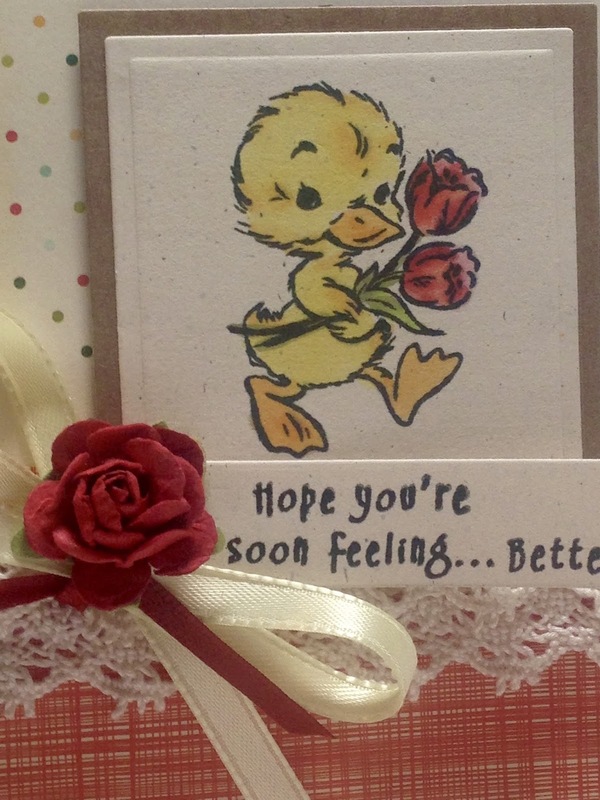 I heard someone was just released from the hospital and I sent her this get well card to help cheer her up as she recovers at home. I cased the design of this card from Michele Kovack; you can see her card HERE. I just love this little Crafty Secrets image. It is from the retired set "Feeling Yucky". There are so many cute images in this set. 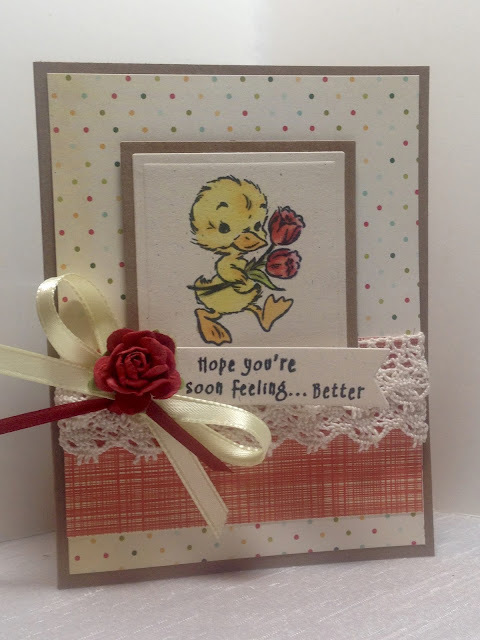 I stamped the image onto a rustic vanilla paper and cut a square shape with Spellbinder's Nestabilities. I then adhered the main image panel onto Kraft card stock and mounted it up on dimensionals. The designer paper is from Cosmo Cricket. Two different colors of ribbon, crocheted lace, and a prima were added for embellishment. The sentiment was stamped onto a banner cut with a MFT die. 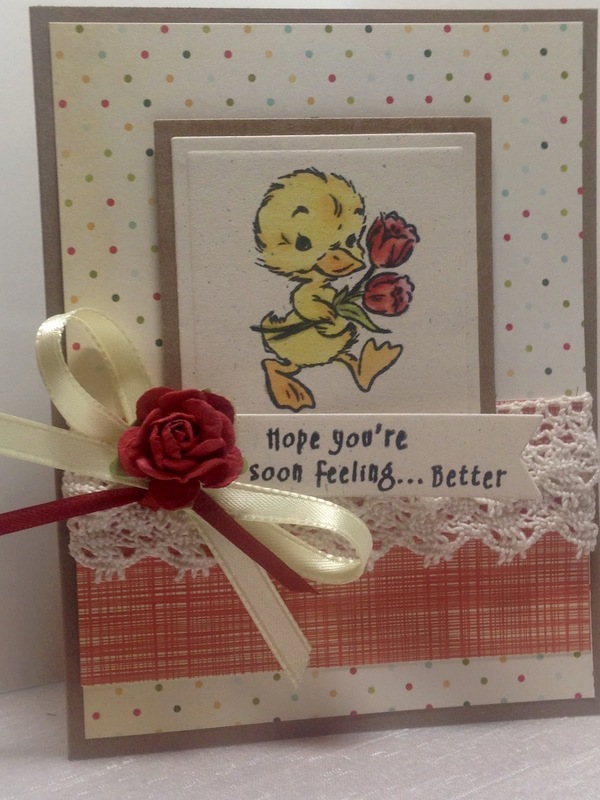 Such a great card to bring some cheer to someone's life! So cute! Def a great way to brighten someones day! what a cute card and such a wonderful diy!